Kate Tecku is owner of The Kombucha Shop in Madison, Wisc., and she is no stranger to hard work – even hard labor. She is quite literally a “Farm to Table” entrepreneur, whose career has spanned politics, policy, food banks, farming and finally, owning her own business. The Kombucha Shop provides everything you need to make your own kombucha, a fermented probiotic drink. 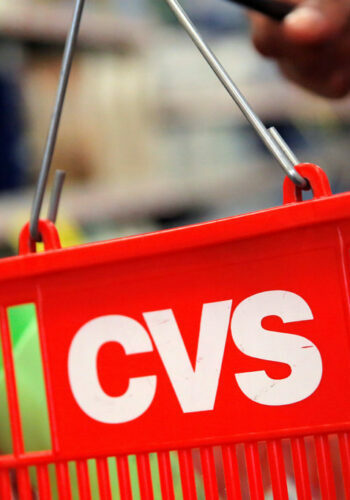 The company soft-launched the holiday season of 2013, and has more than doubled the business each year since. This fall, Kate’s fulfillment team will grow to six staff to ramp up fulfillment, as kombucha kits have become a hot holiday gift item. I talked to Kate about how The Kombucha Shop began and her advice for the first few years of getting a business off the ground. If you’re like me, you’ll be inspired by her tenacity – and encouraged to keep at it in your own endeavors. How did your personal interest in health begin – and how did that become The Kombucha Shop? I worked on political campaigns for a number of years, then did policy work in DC for a short time, and eventually decided to go work on a farm. After the farm, I worked at a nonprofit, The Capital Area Food Bank. We supported DC organizations providing food assistance to low-income families. We ran six-week cooking and nutrition classes focused on cooking with low-cost ingredients. The classes were always loved in the community, but folks would come to class with a 72 oz Mountain Dew in tow. I remember thinking – we are missing the bigger picture. We often forget that a large majority of calories for average Americans come from sugary beverages. Meanwhile, my coworkers were bringing in homebrewed kombucha to share. We were scrounging together thrift store jars to brew in. For me, this was a lightbulb. I knew I could put out a solid kombucha kit, and create a company that would appeal to millennials. That’s where it began. Sidenote: We have to ask – how did you go from policy to the farm? I worked on clean energy policy and climate policy at the Center for American Progress. The role of agriculture began to fascinate me – it plays a huge role in environmental issues. With the 2012 election pending, progress on climate policy was stalled in congress- so I decided to go work on a farm and learn what life is actually like for small sustainable farms trying to make it work. I worked on an organic vegetable and livestock farm in New York, and I lived there for six months. There was a bit of everything: pasture raised animals, a herd of 20 beef cattle, 100+ sheep, chickens, pigs. I milked a beautiful dairy cow named Sierra every day. It was 60 hours of hard labor every week, mostly unpaid. They call it sustainable farming – but that’s from an environmental perspective, not so much financially I came to realize. Even so, working on the farm was when I decided I wanted to own my own business. 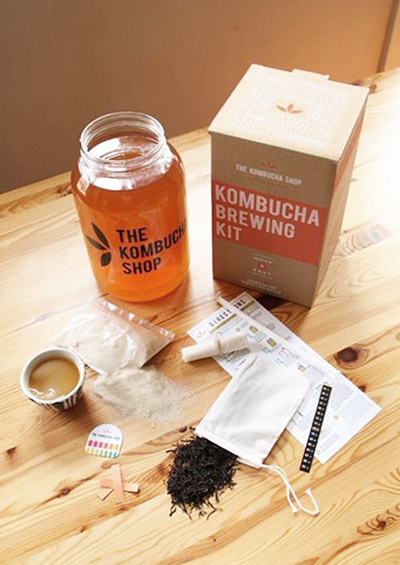 Within six months of the initial idea for The Kombucha Shop, the kit was available to buy online. This is quick turnaround from concept to shelf – how did you launch so fast? I’m type A. Many women entrepreneurs like myself are obsessed with perfection before launch. In the beginning, I was, but my brother Mike was great support – why is your website not up? why is your product not for sale? I launched. It wasn’t perfect at first. I hadn’t figured out how to ship a live culture. The first year was rough – lots of trial and error. I kept my nose to the ground and listened to customer feedback. For example, the instructions in our kit are something I pride myself on today. In our reviews, this is something people often comment on – it’s very easy for them to get started brewing. In my past life at the food bank, I was writing recipes for people without skills in the kitchen. At the end of the day, it’s a similar job. We teach people. What were some of the early challenges in establishing your business – and how did you overcome them? Shipping glass products and live cultures – how do you deal with that? We had to change our box to prevent the glass from breaking. In the process, we realized a new box size and shape would save us money. That new box also had a different rate for shipping – and then it made sense to move to USPS. When a challenge like this comes up, you have to resist the temptation to get frustrated and instead let it be an opportunity to improve. How did you find your customer? We thought small boutique and groceries would be the best avenue at first. We put tons of time into packaging and contacting stores from California to New York. It took so much time and energy for such a limited response. It’s a $54 item. It’s not going to be fast-moving in the store, so we doubled down on selling online. That’s where our customers are. We have some wholesale, but that’s not our primary business. We run Google AdWords for new leads with decent conversions, but mostly it’s our distribution on Amazon that has driven our fast paced growth. What were your expectations for your business? Where were you right, and what has surprised you? My expectations for the business were grand. To be successful, they have to be. To get through 18 months of making it work and figuring it out, you have to buy in intensely. To make others believe in your product or brand, you have to be 100 percent behind it. I spent a lot of my own money, which granted, wasn’t much at the time. I told myself: if I can sell 100 kits, I’ll buy more inventory and keep going. Then if I can sell that, I’ll keep going. As I’ve learned from other successful entrepreneurs, if it works, double down. So we focused pretty squarely on selling the kit and tried not to get distracted by other products. We did that for a year and a half. And we’ve more than doubled our company every year. Now my expectations are still wild – but they are founded in what we know about the business. What advice you would give someone in the early stages of their business? If you’re going to fail, fail fast. That helped me get over all the details and just launch to see if anyone even cared. Are there any customers out there for this? We needed to know that. When the kits started selling, I realized that I had a market. Even so, we’re in a business landscape today where you cannot sit back. I love to travel – to France, New Zealand, Vietnam, and so on in the last few years. Travel is great reflection time for planning and strategizing, but if I’m not innovating every year and introducing new products and growing, there’s always someone out there who is hungrier and willing to work harder to make it happen. Don’t sit back and take your initial success for granted. It can be gone in a second. This kind of mindset keeps your customers coming back. My second piece of advice: Have the most insanely awesome customer service possible. Over deliver by 1,000 percent. If a customer has a problem, I give them the product for free and thank them. You might be in the right when a customer has a problem, but you won’t remember winning that argument – and, you’ll miss out on giving someone an awesome experience. As a result, we have an amazing community now. And happiness breeds happiness. Kate decided she wanted to own her own business long before she had the idea for The Kombucha Shop. Sure, having your own business can be an epiphany-moment – but ultimately the right idea comes about when you know it’s what you want, and you’re keeping your eye out for the right opportunity. A career path isn’t a corporate ladder, it’s an exploration. Kate was willing to go off the beaten path to create a career that uniquely belongs to her. With her diversity of experience, she connected the dots to build something original. In the face of uncertainty, you will find Kate working. She pursued opportunities as they presented themselves. As she made minor improvements, she uncovered bigger opportunities that would make a difference for her bottom line. What’s next for Kate and The Kombucha Shop? The Kombucha Shop is product testing tea blends that will be new to the store. Existing customers are part of the new trial. Kate just attended Amazon’s very first Women Entrepreneur’s Conference in Seattle. Kate will be leading a kombucha brewing workshop in Madison, WI on October 13th. What’s next for you? Your own kombucha brew of course! To support Kate and friends at The Kombucha Shop, visit http://www.thekombuchashop.com/.